Increasing productivity and version controlling online in real-time have made the new intranet a hit inside a marketing company Loyalty NZ with two branches. Loyalty NZ specializes in the intelligent use of big data to help businesses know more about what their customers want and how they can best deliver it. It is best known for the Fly Buys program, which has over two million members across 70% of New Zealand households. LAB360, the company’s specialist data analytics and insights business, helps companies use data to finesse business strategy and get outstanding results. Solution – a cloud-based solution to foster online collaboration: Loyalty NZ has been moving systematically to a more cloud-based infrastructure which involves migrating to Microsoft Office 365 and SharePoint as well as revamping its aging intranet to foster closer online collaboration. After a comprehensive evaluation, the company chose Fujitsu, global certified Valo Partner, to build Valo as their new Digital Workplace. Managing work is easier and the solution provides a rich social platform with an intuitive and engaging user experience. Benefits – a new center for internal communications: Valo Intranet offers a rich platform for all Loyalty NZ’s communication needs. The Valo Digital Workplace makes managing work easier while providing a rich social platform for employees. It is the center of all internal communication, teamwork and provides all the features Loyalty NZ needs – along with an intuitive and engaging user experience. The company designed a two-fold process to ascertain precisely what it wanted a new intranet to deliver and to rigorously assess the technical options available on the market.  Initially, it identified 65 competing solutions that supported the deployment of SharePoint Online, which is then narrowed down to six for a more comprehensive evaluation based on several key criteria. Loyalty NZ is a rather small company yet were in need of a well-functioning intranet. After six weeks, the new intranet was fully deployed and integrated, supporting 130 users across two sites in Auckland and Wellington.  It provides a branded portal, based on SharePoint, which enables employees to share information, communicate and update social media via their desktop or using a tailored mobile app. News publishing, blogging, templates, alerts, and events are just some of the features now available at the touch of a button. We are a marketing organization so having the social media and collaboration aspect was really important. That was a key element of what Fujitsu and Valo delivered. Loyalty NZ has been immediately impressed with the performance and functionality provided by the new Valo Intranet. Project documents, which once were stored locally, making collective editing a chore, are now all available online in real-time. This increases productivity and reduces the need for version control. Meanwhile, its simplicity and ease of use have made it a hit with employees. This is a completely new intranet and yet we needed no training because it is all so intuitive. No matter where I am, I can use my phone to review documents or even book flights; everything is accessible. “In addition, we have built extensive document libraries that connect to our file-server data, so everyone can retrieve the information they need whenever they need it. Valo Intranet is also reducing the burden on the IT team and fresh up internal resources. Whereas the old intranet needed constant attention, this solution simply gets on with the job: “We don’t have to feed and water the OS as it is all taken care of by Valo, therefore the administration involved has disappeared entirely,” remarks Keene. The new intranet, Jarvis, has enabled better collaboration and accessibility for Loyalty NZ. Loyalty NZ is delighted with this next stage in its evolution as a company, which has made it more productive. It is now undertaking discovery workshops to see how data is used and how it can be more effectively and securely shared to further evolve the platform. This customer case is originally posted on Fujitsu New Zealand’s website. Are you interested to become one of the over a million happy Valo users? Book a demo with us and we’ll show how you can have an intuitive intranet that goes where ever you go.